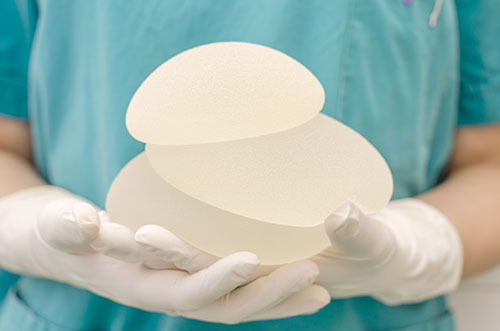 Those considering plastic surgery such as breast augmentation are more than likely going to have questions about the operation and recovery. Breast augmentation enlarges a woman’s breasts through the surgical placement of breast implants which results in fuller breasts and can restore breast volume lost after pregnancy or weight loss. Under the care of a board certified plastic surgeon, having realistic expectations, and the right recovery precautions, patients can get the results they are looking for. The most important thing to keep in mind is to choose your surgeon wisely. Make sure that your surgeon is a Board Certified Plastic Surgeon and that your surgery is performed in an Accredited facility. Dr. Harris is board certified with both the Canadian Society of Plastic Surgeons and the American Society of Plastic Surgeons, and as well The Harris Plastic Surgery Clinic is accredited with the CAAASF. Eating and living healthy before a surgery helps give your body the boost it needs to successfully undergo and recover from the operation (i.e., drinking lots of water and keeping active). In addition, you will need to stop taking aspirin, aspirin-containing medications, and ibuprofen 3 weeks prior to your surgery, as well as for 3 weeks after your surgery. At your pre-operative appointment with Dr. Harris you will be provided a complete list of prescription and non-prescription products that are to be avoided for 3 weeks before and 3 weeks after your surgery. Certain types of vitamins, herbs, and medications will cause the blood to thin, and may cause bleeding. It is advised not to take anything without your surgeon’s approval. At your pre-operative appointment Dr. Harris will give you your prescription for after your surgery and we do advise to have it filled out a few days prior to your surgery to ensure that you have them on hand for when you need them. Dr. Harris will also provide you with herbal supplements of Bromelain, and Arnica Montana, for bruising and swelling, to take prior to surgery. Patients will receive unique pre and post-operative instructions designed specifically for them from Dr. Harris. These instructions will include things such as; pre-operative eating and drinking restrictions, caring for the incision site, when to return for post-operative appointments, prescription use, and activity guidelines. Make sure you have someone, aged 18 or older, to take you home after surgery as you will not be able to drive yourself home after surgery. It is also important that you have someone to stay with you for the first 24 hours to assist you at home. You will need to wear a good support sports bra for 2 weeks day and night following surgery. Ideally if you can get a sports bra that does up in the front, it will be easier for removal when showering. Even if you feel you are having an easy recovery, it is important to remember that your body has been through a lot, and it will take a while for you to heal on the inside. The body needs energy to promote good healing, so rest as much as you can. Don’t push yourself to do too much too soon. It is important to avoid getting back to your daily routine too early. Even simple tasks if done too early such as taking a basket of laundry up the stairs, unloading the dishwasher, vacuuming, or driving can put you at risk of injury. You can help ease your muscles by taking showers and allowing the water to beat down on your chest. Make sure the water isn’t too hot. Baths, or submerging your incision is not permitted until the incision is completely closed, as doing so can introduce bacteria/infection.